Maintaining a healthy and active lifestyle once you have children can sometimes feel impossible, but when you can take them along for the ride, it makes it all seem possible again. Jogging strollers make it all possible. It allows runners to be able to get out there and run while still being with your baby. The question then is, “how do I select the best jogging stroller?” We have you covered. We have created a list of the best jogging and running strollers that features the top safety features and best quality ride. Running is a way of life and many don’t want to leave that behind after having children. Below is a list of the best models for you and the kids. So you won’t get left behind. Jogging strollers come in so many different designs with so many different features these days. We have created this list of the top jogging strollers with the best features. Each product has been researched and reviewed along with the criteria sections receiving updated information. With the sleek black and grey design, paired with the large bicycle tires and lightweight collapsible frame, there is no questioning why this stroller has been dubbed the “Phantom”. Ensuring maximum comfort for you and your child with a front 360 swivel wheel, dual cup holder tray, reclining seat with adjustable canopy, and a large storage pouch down below. If you are a parent who lives an active lifestyle, then this is the stroller that you must get your hands on. Exposing your children to the outdoors is essential to healthy brain development and adequate mental health, making a jogging stroller the perfect way to do that early in your child's life. The benefits carry over to you as the parent as you push the extra weight up and down hills as you do your daily jogging route. We love the 360 front wheel swivel motion offering precision turning in a fraction of a second. We also love the large bicycle tires making any terrain on your route as smooth as pavement. On the BOB Revolution Flex Duallie, a locking swivel-front wheel provides stability for steering at faster paces and increased mobility. A mountain bike-style suspension helps keep baby’s ride smooth and bump-free as you jog through unpaved city streets and rough terrain. This stroller also features an adjustable handlebar so various family members can get their morning jog in comfortably. The tires are large and air-filled, and the stroller will hold children up to 50 pounds in each seat. It’s compatible with BOB infant car seats or Britax seats if you also use a separate seat adapter. There’s no rethreading necessary, the seat reclines to an almost flat position, a two-step folding process makes for easy, compact storage, and the padded seat and extra-large canopy are ventilated, with a UPF rating of 50+. This Duallie model is a tandem stroller, and perfect for families with more than one young one, or who often watch little friends! This stroller allows parents of (multiple!) little ones to get out and enjoy the fresh air with their family. Go for a jog through a nice scenic route and enjoy the view with your precious tikes, knowing that this BOB Revolution Duallie stroller is designed to make your run as smooth and enjoyable as possible. Tandem seats are a bonus for larger families and the stroller has a shade canopy plus a storage space as well, which are two of the most popular features on most standard strollers. This lightweight jogging stroller by Joovy is the perfect stroller for a child who loves to look out the windows of the car. With an elevated reclining seat, any child who rides in the Zoom 360 jogging stroller will have an unlimited heightened view compared to any other stroller at the park. Parents love the compact folding for storage, as well as the car seat adaptability so any size child can go for a ride! Having the opportunity to experience the outdoors at a young age is essential to ensuring a happy and healthy brain, this stroller gives your child that experience at the highest possible point with the elevated seat. Watch as your child begins to notice more and more on your daily jogs, promoting key brain activity and overall essential functions needed in life. We love how tall the seat is, giving maximum viewability for your child. We also love the 75 pound weight limit and large rear wheels allowing larger children to still enjoy a ride in the park without being crammed. With its patented quick fold technology and all-terrain non-flat tires, the City Mini GT jogging stroller is the stroller for anyone who is time oriented on a day to day basis. One hand folding and adjustable height handlebars allow for a quick and easy setup. The flat folding seat and blackout canopy with a hideable window makes naptime a breeze even in the city. Coming with a rain shield, and glider board, this is a stroller that will last a long time! This jogger should last you and your child from birth all the way up until school age depending on your child's height and weight. The attachable glider board makes sure your older kids legs won’t be pulled underneath the stroller, making this stroller accessible to even the tallest children who want a ride. The flat folding seat will make pairing exercise and naptime extremely easy, which gives you both that much-needed break, whether that be sleeping or jogging. We love the flat folding seat for naptime and the convenient quick fold technology so you can get on with your day. But what really took the cake for us was the non flat tires, ensuring you will never have to pump them up before a trip or have an unexpected flat during a jog. This lightweight, compact jogging stroller from Baby Jogger is nimble and durable, holding children up to 50 pounds in its seat. The canopy promises 50+ UB protection and can be adjusted for different heights, which is useful if you have a little one who is growing faster than expected. Two peekaboo windows let you check in on your little champ. The quick-fold technology allows you to easily snap the stroller up and store it when it’s not in use, and it is great for travel. Simply pull the strap (you can do this one-handed), and the stroller will fold in on itself. With three wheels and 8-inch EVA tires, steering is no problem, while a front-wheel suspension helps absorb the shock of uneven roads and terrains, so baby won’t be bumping around while you run. Easy to maneuver and with lots of separate compatible accessories, this is a great base for many families to begin customizing for their needs. The Baby Jogger 2016 Mini will keep your child safely strapped in and comfortable on your jogs. With a canopy to protect them from the sun and a seat that reclines to plenty of adjustable positions, you can walk, jog, or run easy, knowing that your baby is happily along for the ride. The rubber handlebars are more comfortable and slightly higher, so taller parents won’t be stooping over as they run. It’s a smooth ride, easy to maneuver and steer, and folds up incredibly easily. Jogging strollers have been created to allow parents of little ones to still remain active while bringing the children along to enjoy a beautiful day. This stroller has been created to even go a step further. It is a stroller that has a three in one design. It has been created to be used as a bike trailer, an oversized double stroller, and jogger. It is the best of all the worlds in one. Easy to convert to the different modes allowing busy and active parents to switch or get ready for the next event without having use a completely different piece of equipment for each. On the front of the stroller, there is a removable wheel that pivots. This is great for stability for jogging and strolling, but can be removed when it is time to attach to the bike. When it comes time to store or transport the stroller it is simple to disassemble and break down then reassembles with ease. Included with the stroller users will find a universal hitch that is used to connect the stroller to the bike. If the bike would happen to tip over the trailer will always remain upright. For extra safety, there are reflectors on all four sides of the stroller. 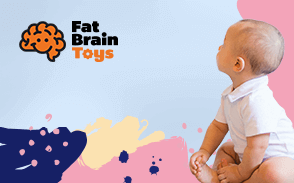 It is best suited for children over the age of 18 months old. The maximum combined weight of the riders must not exceed 88 pounds. If you are looking for a stroller that will go from bike to jog then this is it. Finding the right jogging stroller can be a hard find. Families that are active usually already have a ton of equipment so this three in one design is ideal for keeping down the count of wheeled things that are stored in the garage. The design is great for active families that want to take their children along on a walk, jog, or bike ride. It easily converts making it great for multi-day activities. Great stroller for active families that love getting the most out of one piece of equipment. The design is great and easily holds two kids comfortably. All-terrain isn’t just for your four-wheel drive anymore and Graco is breaking down walls when it comes to two-in-one strollers. This jogger-stroller crossover was designed for the safety of your baby and the exercise you need as a new parent, and Graco has brought them both together to design this awesome Fastaction Fold Jogger. The padded seat is cushioned to suit your baby’s needs as well as allowing them to recline if necessary. This helps to soothe your baby while they enjoy the feeling of motion, something many children find comforting. The stroller itself can be folded up or open within a matter of seconds and is compatible with any Graco child seat design. The best part is that even though your road might be bouncy, your baby won’t feel a thing with the addition of full suspension and front-locking wheels for those extra unsmooth surfaces. You’ve got a ton of options with this jogger, one of them being storage space. This stroller has space for normal things such as a smartphone, snacks, etc., but it also features extra storage that’s great for long day trips or traveling with more than one child. This jogging stroller is able to hold kids up to 50lbs which makes it a great investment for the active parent. You’ll be able to continuously jog with your child, even when they’re well into their toddler years! This stroller is sleek-looking, simple, and affordable, which means there’s not much to dislike about it. To be honest, this stroller should be in your top joggers to consider especially if you like to jog off-road. With high-impact polymer wheels, there aren’t too many places this stroller can’t go (within reason) due to their stability and gripping power on rough terrain. The front wheel allows for easy steering and movement, while the advanced suspension system keeps your child from feeling a single bump. This stroller really is state of the art when it comes to an active parenting lifestyle and it’ll have you and your baby up and running every day with no problems. One thing that has a tendency to make parents uncomfortable while jogging with strollers is the inability to adjust the handlebars of their baby’s stroller. Every parent is a different height which means that not everyone will be comfortable running with the same exact handlebar setting, which is why the BOB Revolution Flex Stroller’s ability to switch between nine different settings is perfect. This jogging stroller is simple, yet effective. It allows you the freedom to jog your normal routes while providing your baby with nothing but a smooth, soothing ride outdoors. Getting exercise as a parent can be a task all in its own, but this jogging stroller makes that one task even easier. It is a two seat jogging stroller that comfortably and securely seats the riders. Each of the riders can weigh up to 50 pounds. If you have two toddlers or twins at home you know how difficult getting out running is. This jogging stroller allows parents with young kids close in age to be able to get out and remain active. The design is lightweight and features all the safety and convenient features that the regular strollers have plus even extras. It uses pneumatic tires that are usually used on bicycles and allows this stroller to become all terrain. So, whether you are running on the trail or the sidewalk this stroller will smoothly roll along with you. The break is in the rear and is foot activated making it easy to come to a quick stop while also keeping your hands free. It weighs in at 32 pounds and has been designed to keep fit to keep up with the little ones. Running is always stress relieving activity, but when you are on a busy sidewalk or on a nature trail sometimes you need to stop quickly. This jogging stroller features a hand free braking system in the rear that is controlled by the action of your feet. It creates an easy and quick way to stop and a way to stop when you need it most. The five point harness with the multiple positioned seats make this very comfortable for the riders. Most kids love to fall asleep when out for a stroll and this makes it super comfortable for them. The Solstice jogger by Burley is a revolutionary stroller, even having a one of a kind seat that no other company can offer. The S.I.T. seat (Spring Integrated Technology) is a patent pending seat belt system that prevents straps from being tangled, making the transition from stroller to the car as easy as possible. Also coming with telescoping handlebars for adjustable height and extremely compact and easy one-handed storage folding system. Your child will love the reclinable seat and softly padded straps. The S.I.T. seat is amazingly beneficial when it comes to a trip to the park. Instantly unbuckle your child in fractions of a second for a quick playdate on the swingset, then buckle them up with ease and continue your jog. This is a great way to introduce your child to jogging, let them run until they are tired and strap them back in for a break. This way you and your child can get a good jog in without having to wait for them to catch their breath. We really like the convenient S.I.T. seat belt system and the reclinable seat for the fact that no other stroller has seat belts quite like this. We also like the car seat adaptability making it easy to have a handy travel system in just a few clicks. To rank all of these jogging strollers from best to worst, we used special criteria. When buying a jogging stroller, you want a durable and lightweight frame so you can continue jogging for years to come. You also want a stroller that stores compactly and easily with no hassle, along with the right tires for all terrain. Using these parameters and other factors, following are the criteria we used to rank the best jogging strollers. If you want to buy a jogging stroller, then you probably don’t want your child outgrowing it in a year. That is why we chose the heaviest weight limit as the top strollers rather than the lightest weight limits. Nobody wants to jog with a heavy hunk of a stroller, that’s why we decided the lighter the weight of the stroller, the better. Overall fancy features and gadgets are added accessories and, in our opinion, makes a stroller even better. Did you see the one with built-in speakers? When it comes to children, they do not like cold weather. That is why we ranked weather-resistant strollers at a higher level than those that weren’t. After you use a stroller you need to store it, right? The strollers with the easiest folding/storage methods and flattest size were the winners in this section. The fact that a stroller can grow with your child is a must, and if you can’t get a stroller like that, it isn’t worth it. Strollers that will serve your purposes for a number of years were held high on these criteria. Q: At what age can a child start to ride in a jogging stroller? A: This depends on the stroller itself and your child’s development thus far. If your child just learned to hold their head up, maybe a few more months of waiting won’t hurt, but if your child is walking strongly, they are probably ready to go for a ride. If you are unsure, consult your child’s doctor and ask for their opinion. Q: Are jogging strollers safe for my newborn? A: As long as your newborn is strapped in and the stroller is the correct compatible model with the car seat, then yes your newborn is very safe. Always make sure your child is strapped in securely and their car seat isn’t loose or falling off and that they are dressed appropriately for the weather. Q: Do you have to jog with these? A: Not at all! You do not have to jog when using these strollers, and a lot of people only buy them as a regular stroller just because of the increased luxury and smoothness in the ride. You can use these just for walking in the park, for example, and they will probably last you even longer. Q: Do they tip over easy? A: The only time strollers like these tip is when a turn is taken too sharply, too fast. The same thing will happen in a regular stroller, so just watch your speed and turning radius. A: Most issues that will arise from one of these jogging strollers would be as easy as changing a tire. But if it’s a serious problem it will cost as much as an average bike repair. Q: How long should one last? A: One of these strollers should last a minimum of two years, but depending on the durability and the condition it is kept in, they could honestly last a lifetime!